A gripping thriller from E. A. Clark, perfect for fans of Kerri Wilkinson, Sarah Wray and Stella Duffy. You won’t be able to put it down! 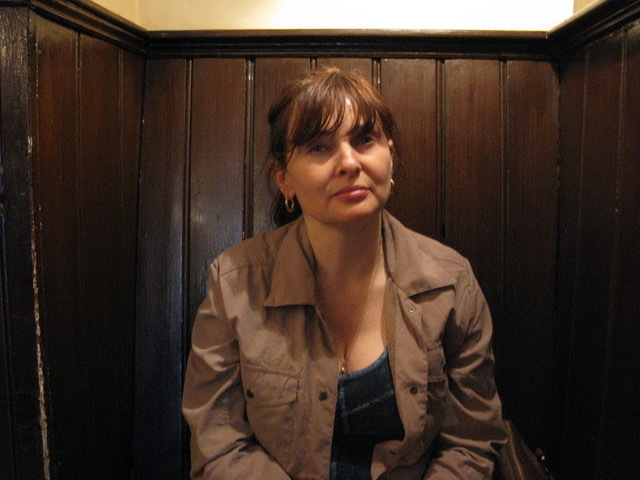 E. A. Clark lives in the Midlands with her husband and son, plus a rather temperamental cat, a rabbit and a chinchilla. She has three (now grown-up) children and five grandchildren. She is particularly partial to Italian food, decent red wine (or any coloured wine come to that …) and cake – and has been known to over-indulge in each on occasions. She has a penchant for visiting old graveyards and speculating on the demise of those entombed beneath. 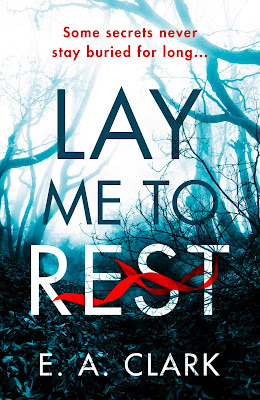 Whilst she has written short stories and poetry for many years, a lifelong fascination with all things paranormal has culminated in her first novel for adults, Lay Me to Rest. The setting is inspired by her love of Wales, owing to her father’s Celtic roots. This debut adult novel from E. A. Clark is ominous from the start. We enter into a story of grief as Annie's husband has died and made her a widow at an early age... just to find out she's pregnant with their child. This is also a story about secrets coming to light and a ghost that needs to be heard. A fast paced book, the writing takes a little getting used to but doesn't take away from the read once you have conquered it. I think the readers will be surprised at the paranormal aspect of the book going in as it isn't clear in the blurb. I do think that once you are aware of it (which is pretty obvious from the start) then your mind will start to wrap around the story and really feel for Annie and what she's going through. 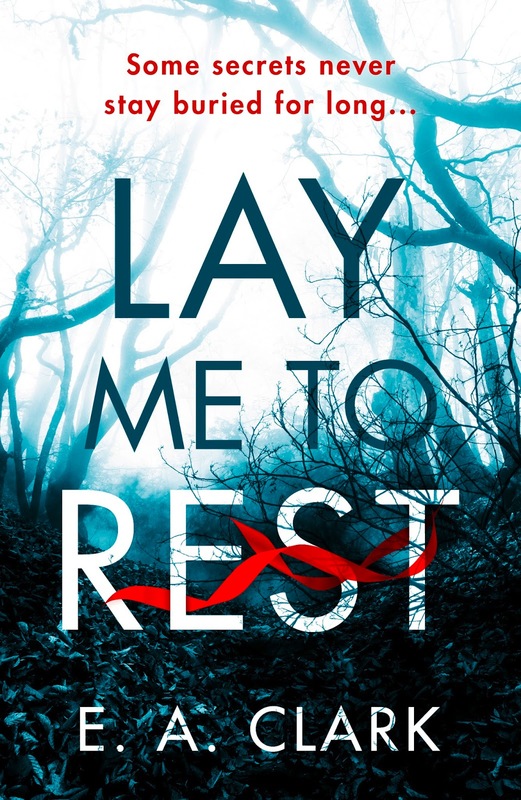 A proper atmospheric ghostly read and those who like this subtle genre won't be disappointed. 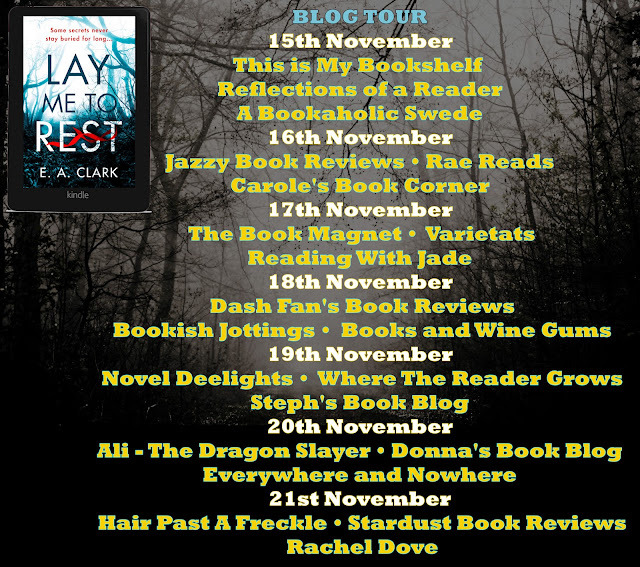 Follow along the blog tour for other thoughts! !